We are moving. 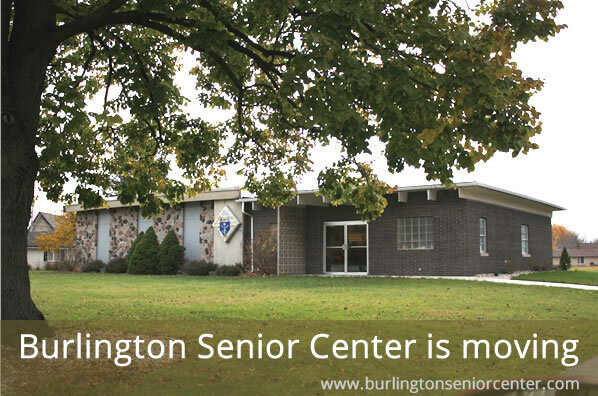 The Burlington Senior Center is relocating to 587 E. State St. Our new home is bigger and includes a commercial-grade kitchen so we can participate in the Meals on Wheels program. Want to help with the move? Check out our fall edition of the BSC News. What’s inside the BSC News Fall 2017? Do you like going to the theater or visiting places like Door County? Check out our list of BSC Senior Day Trips and Tours. Enjoy bowling? The Nifty Fifty has started their Fall-Winter Season. Find out more in the Fall BSC News. Keep up to date on activities like Volleyball, Arts and Crafts, Chocolate City Card Club, Senior Sports and more. You can pick up a paper copy at the new Burlington Senior Center location or download a copy of BSC_News_Fall_2017.